I’ve wanted to learn the art of making hard cider for a long time. But many of the books I found were overly complicated for a beginning home brewer. I didn’t want to start with the complicated. I wanted to learn the basic techniques so I could play with the flavors of the apples on our farmstead. 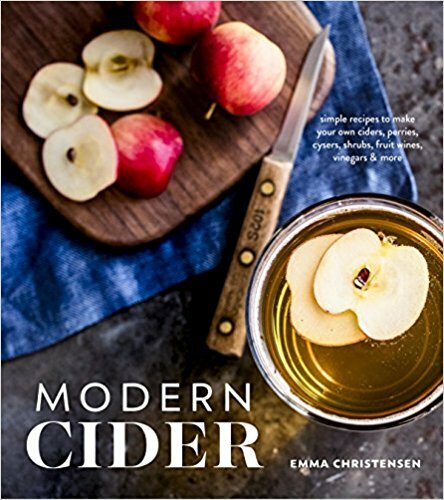 My prayers were answered in the new book Modern Cider by Emma Christensen. I’ve been following Emma for years. She’s known in the foodie world for breaking down artisanal recipes into step-by-step DIY projects that are totally doable…and delicious. So OF COURSE I had to invite her onto the podcast. Emma teaches people how to make cider from every angle. She covers making cider with store bought juice or home pressed apples and she gives flavorful options that make our cider BETTER than the commercial brews. 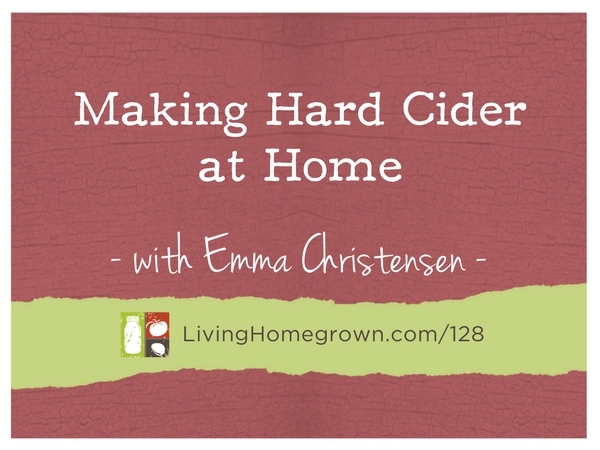 In this episode, I bring on Emma to give us just the basic Hard Cider 101 info so that we can dive in with gusto. The bottom line is that it’s super easy, very forgiving, and you don’t need a lot of equipment to get started! 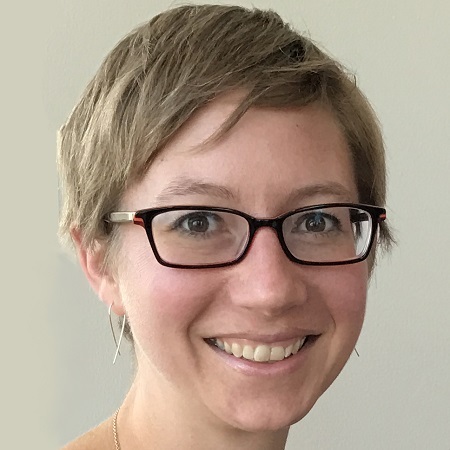 Emma Christensen is a food writer and editor with over 10 years of experience creating food and cooking content for online and print publication. She is the managing editor for Simply Recipes and a former editor for The Kitchn. Emma is also the author of three books on homebrewing, True Brews, Brew Better Beer, and Modern Cider, and she collaborated on the James Beard award-winning The Kitchn Cookbook. Emma is a graduate of The Cambridge School for Culinary Arts and Bryn Mawr College. She lives in San Jose, California. Find more of her work on fermented beverages at The Bold Brewer. Want Emma’s Basic Hard Cider Recipe? Theresa, I wonder if I just wanted to try a small experiment, if I could use my Kraut Source device on a quart jar to ferment apple juice for hard cider. Also, can you start with cider (regular, non-alcoholic) instead of apple juice? Thanks! Hi Amy – Yes and yes. I think you could do a small batch experiment using your Kraut Source device. You would just sterilize that as you would all your equipment. It would let the CO2 escape and would not let anything inside. It just would not be practical for large batches. And YES you absolutely can use a non-alcoholic cider to start. Here is a definition of the difference between juice and cider here in the US: http://www.mass.gov/agr/massgrown/cider_juice_difference.htm Both will work for you. Have fun and let me know how it goes! I love to make jam and jellies and am a beekeeper but I am looking for another idea for holiday gifts. This is it!